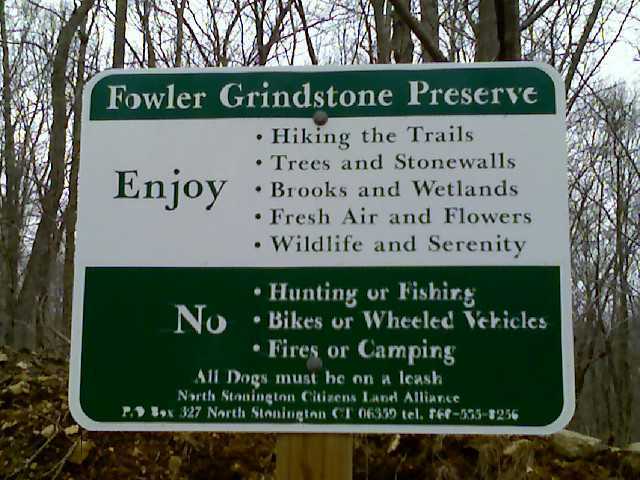 There will be an early Summer hike within the woods of Fowler-Grindstone Preserve. The date is June 1, 2019, Saturday morning, at 10:00 am. confluence of Pendleton Hill and Hetchel Swamp Brooks, both of which are now part of the Wild and Scenic Rivers Amendment, narrow foot paths winding through deep forests, rocky outcroppings, and an old logging road. Tim Crandall and Bill Hixson will be the leaders for the approximate 2 mile walk. 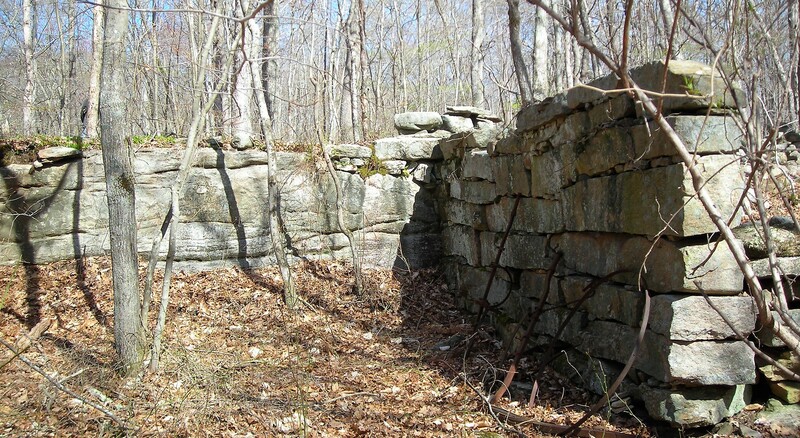 Meet at Grindstone Hill Road, look for the “Upper Trail” sign on right side of road, park either within that drive or along the roadside. Dogs with leashes are welcome. Rain cancels. Pre-registration is not necessary. Call: 860-245-4340 or 860-599-5731 with questions. The West entrance driveway to the preserve is .2 miles up Fowler Road on the right, at the preserve sign. A trail begins at the rear of the driveway (there is a box with trail maps here) and intersects with other marked, loop trails. This preserve has plenty of uplands as well as wetlands and streams. 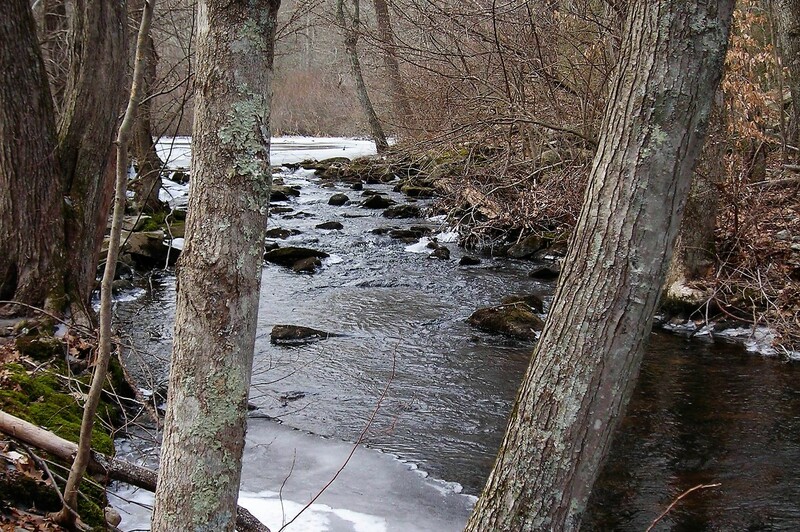 Not only is the confluence of Hetchel Swamp Brook and Pendleton Hill Brook here on the preserve but flowing brooks form our boundaries. It even features an interesting glacial erratic on one trail. The Land Alliance purchased this land at a tax auction in 1997. Thanks go to all the Land Alliance members and neighbors who donated money for this purchase. 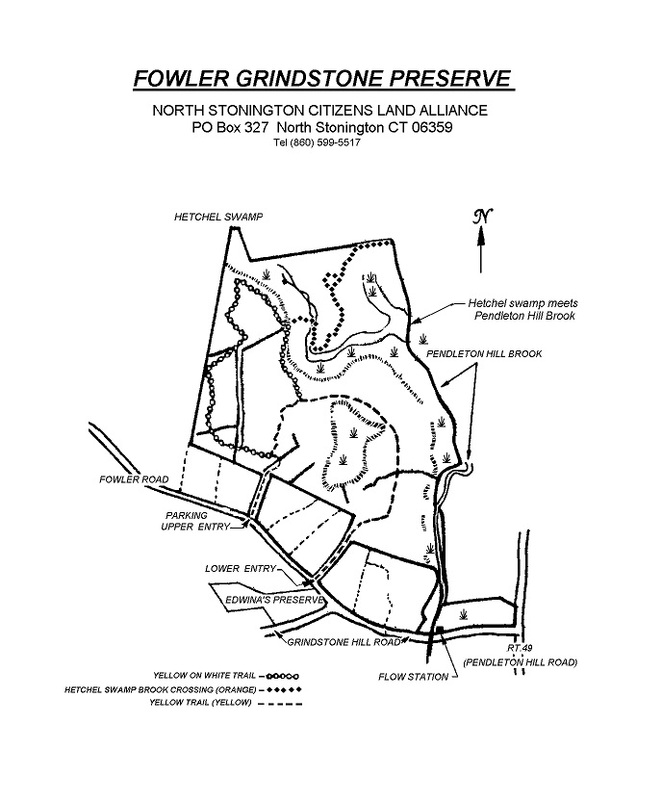 Click on link below for map of Fowler Grindstone Preserve.